Louisville Slugger is back and ready to take the field for the 2019 season. Slugger launched their new bat lineup back in August and haven't looked back since. Four new and improved USA bats released during the initial launch and we expect more heavy hitters to arrive at Justbats.com in the early weeks of October. *For you BBCOR swingers... the HIGHLY anticipated Meta Prime will also be dropping at the same time. Today we are going to take a deep look at one bat in particular: the 2019 Louisville Slugger Prime 919 drop 10 USA baseball bat! 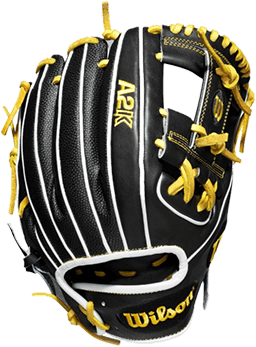 DeMarini always pushes the envelope. And, for 2019 bats, they haven't changed. The bat maker has created two USA Baseball bats that fit the company's mantra, as DeMarini has introduced a 2 3/8" size option and their lowest drop weight USA Bat ever. JustBats.com details the two (2) new 2019 DeMarini Sabotage USA Baseball bats. DeMarini has built a reputation on pushing the envelope, which is best illustrated in their popular CF Zen series being banned multiple times by governing bodies (USSSA Baseball bans DeMarini CF Zen). But, per players, the legal CF Zen baseball bats are worth it. JustBats.com details the two popular 2019 youth baseball bat CF Zen models. Ever since their inception in 2017, DeMarini's CF Zen bat series has been a fan favorite. Sure, the bats push the envelope (re: USSSA Baseball Bans DeMarini CF Zen), but players love the results. With DeMarini recently launching their 2019 CF Zen bats, JustBats.com has collected customer feedback on the 2019 DeMarini CF Zen (-10) USSSA baseball bat -- the player favorite in the new youth baseball bat lineup. The flagship design in Easton's 2018 slow pitch lineup is, without a doubt, the Fire Flex. If you're a USSSA player who wants a boomstick that provides powerful performance with unmatched consistency, look no further. For the 2018 season, there's no better Easton option at the plate than the Fire Flex slow pitch softball bats. So, let's get down to the nitty-gritty and highlight what makes these softball bats so great. When Rawlings rolled out their initial USA Baseball approved baseball bats, drop 5 and drop 10 bats were well-represented. The Quatro -10 and 5150 -5 were popular early on, and exclusive models (like the drop 11 Rawlings VELO) gained traction. But with the Easton Beast X as the only drop 12 option on the market for USA Baseball players, Rawlings saw an opportunity. 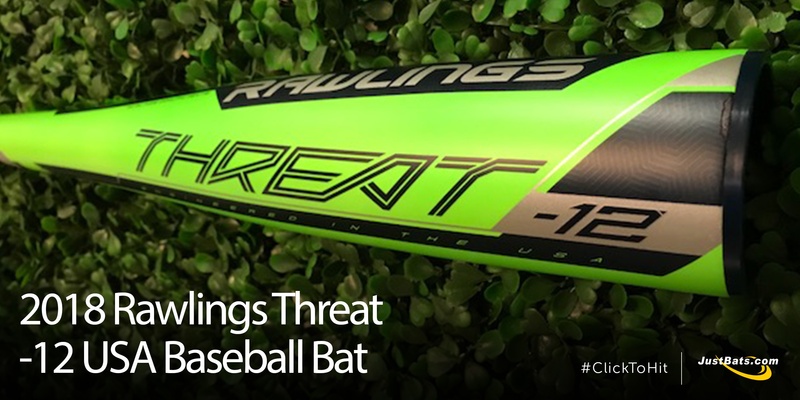 JustBats.com reviews the newest addition to Rawlings' lineup -- the 2018 Rawlings Threat -12 USA Baseball Bat. No hype, just performance, power, and pop. That's what players, parents, and coaches have come to expect from Anderson baseball bats. 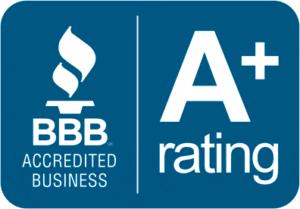 Since 1996, the Anderson Bat Company has flown under the radar and prides themselves on providing an experience unlike any other. 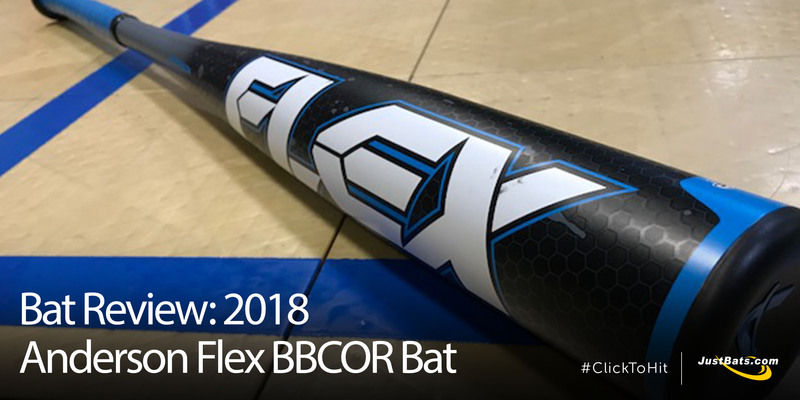 Their flagship BBCOR bat for the 2018 season, the Flex, is a familiar name that some have come to learn and love. JustBats.com jumps in with a bat review on this popular model. For younger athletes, it's important to find a bat that provides immense confidence at the plate and helps increase both your bat speed and control through an entire swing. Luckily, Mizuno covers all the bases. 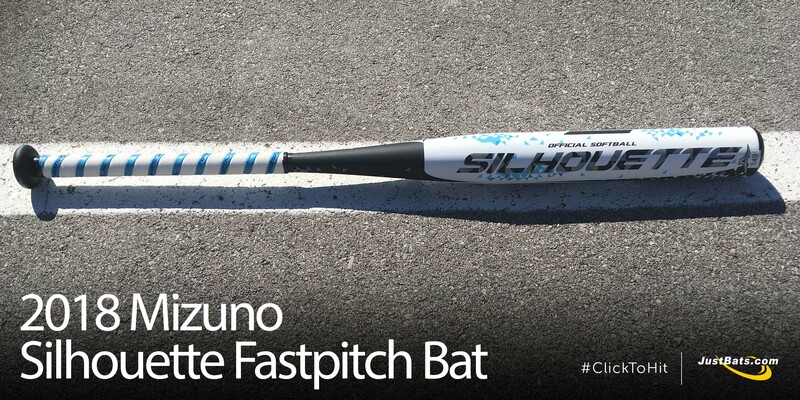 In this bat review, the team at JustBats.com breaks down one of Mizuno's best youth softball bats - the Silhouette.